IMG_8088, originally uploaded by Pink Lady on the Loose!. Our breakfast this morning was home-made bread and coffee. 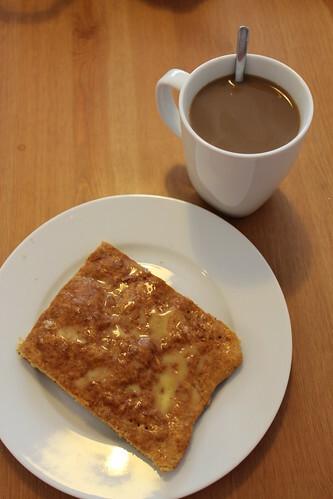 My Mom used to make this kind of simple bread (we call it "tea bread" in Finland) quite often when we were kids, but I don't think I've had it for a few decades. The smell of it baking instantly brought me back to my childhood - like Proust's madelaines.